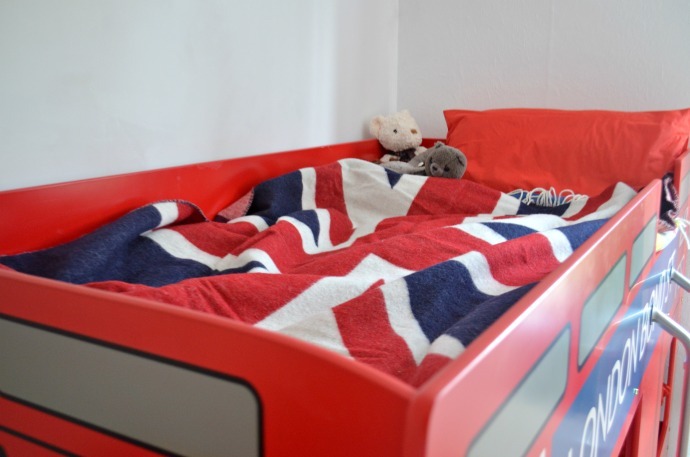 We spent a long time thinking about the perfect theme for the boys' bedroom as we needed to change things around and buy them bunk beds, but as it turned out they decided as soon as they saw the selection of beds. 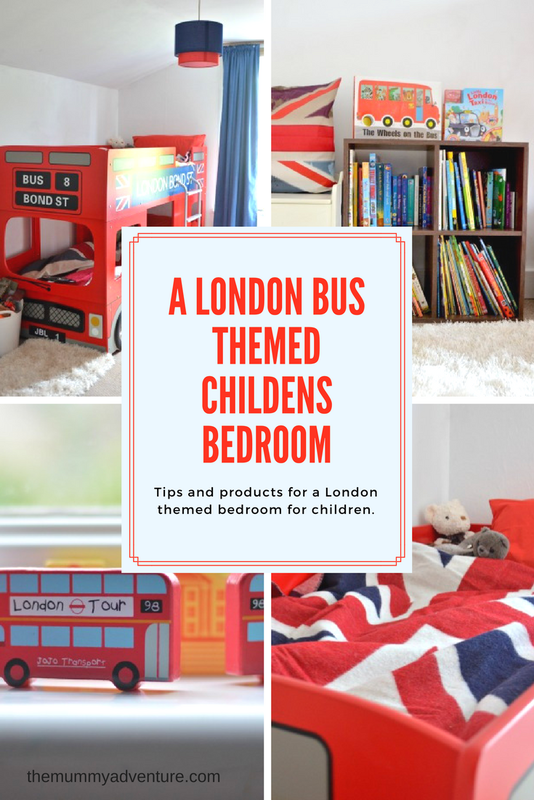 The London bus bunk bed caught their eye so it had to be a London themed room. One of the walls and the ceiling recently had to be re-plastered so the room needed painting, but I went for an easy white so that we can change things around easily if we want to. The room feels cleaner and bigger with white walls, although my super observant boys didn't actually notice a difference! 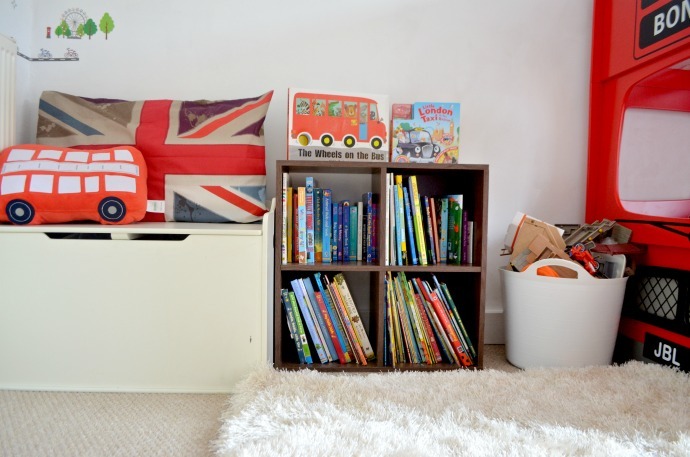 With the bed as the centre piece for the room, I used their existing chest of drawers, bookcase and dressing up chest and added accessories and little touches to bring the room together and they love the finished project. We bought the bed from Carpetright (I didn't even know they sold beds until quite recently!) and we were sent some amazing sheets and pillow cases from B Sensible. 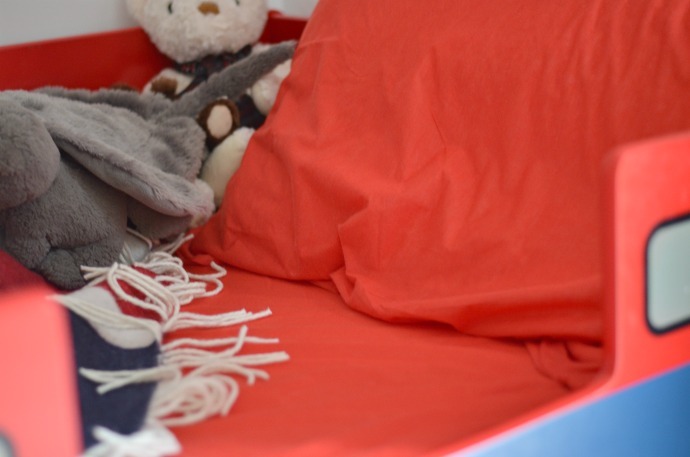 They are waterproof and protective but not clingy and plastic feeling and they come in a variety of shades so I chose red to match their beds. 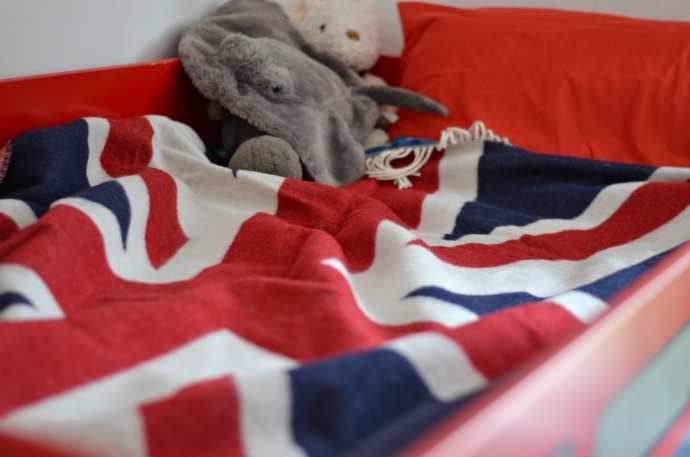 I am definitely planning on getting some for our bed now! 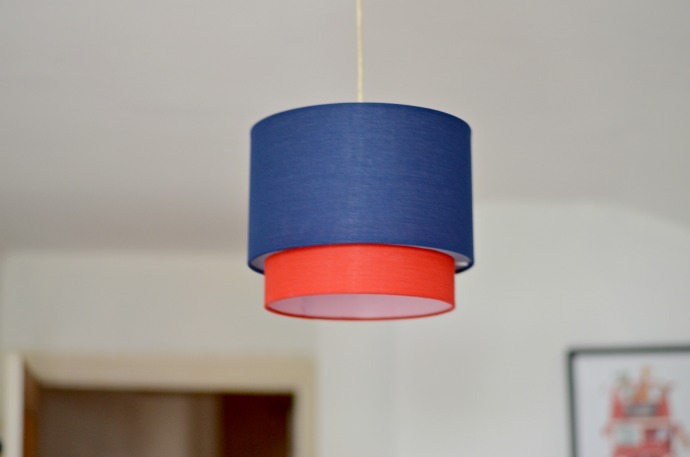 I bought a duvet cover set from Dunelm Mill and then used the pillow case from this on a spare pillow to help make a cosy area by the bookcase. 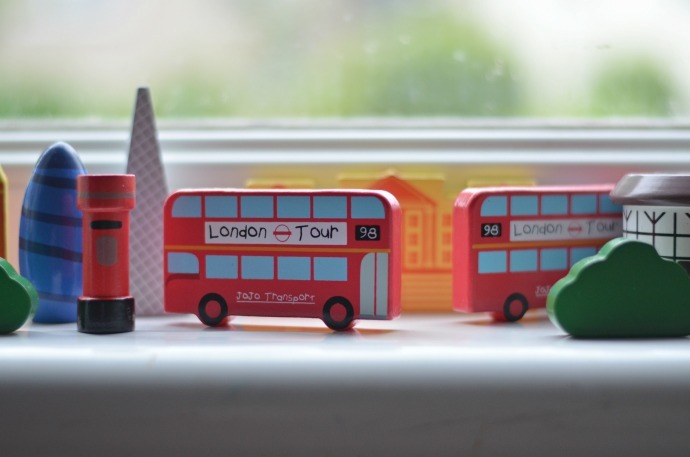 The London bus cushion is from there too. 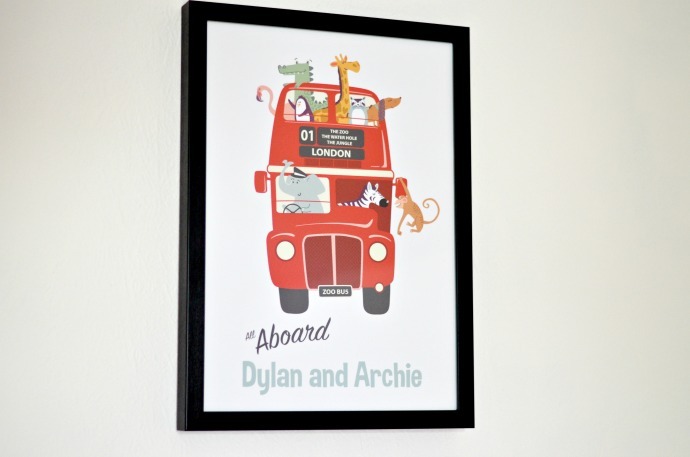 To decorate the walls, I bought a big map of the London underground (Amazon), a London print from Dunelm Mill, a clock (Amazon again) that I still haven't put up and we were sent a gorgeous print from Hello Moon which we could personalise with the boys names. They absolutely love it and it came beautifully framed too. The boys love snuggling up in their room and I wanted it to be a safe place for them to play away from the little two. 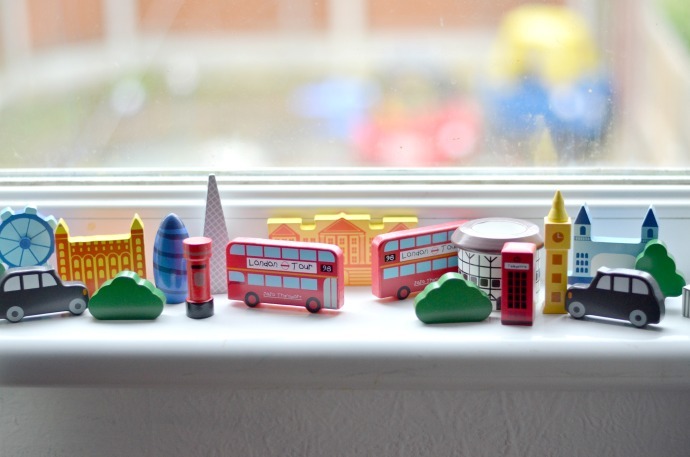 They have some of their older toys up here, like their Playmobil and skaletrix and we were sent some figures from Jojo maman Bebe too which make a wonderful decoration and which they love using as scenery when playing with cars. To keep it cosy we were sent the softest throw from Room to Grow which is currently residing on Dylan's bed. Made from merino lambswool it is lovely and warm and I know will get a lot of use (and stop them stealing mine!). 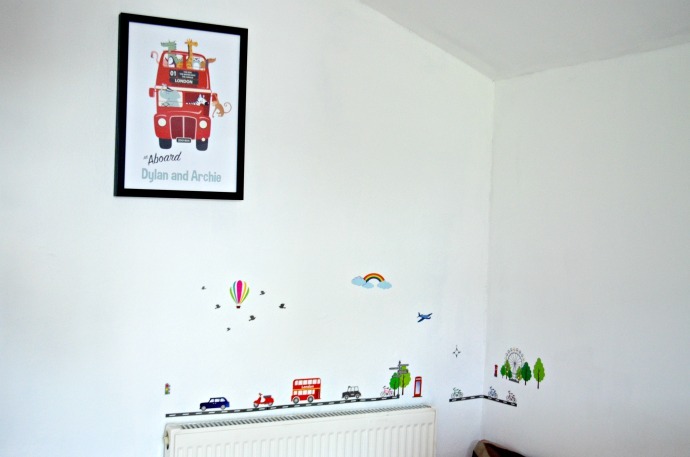 As a final touch I bought some wall stickers from Amazon and put them in their cosy corner. 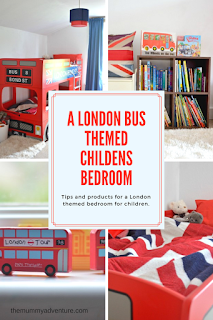 I think their room looks simple and calm and they have plenty of room to play and they love the London buses and the bright reds and blues. I hope it is a room that will grow with them. That is such a lovely room. 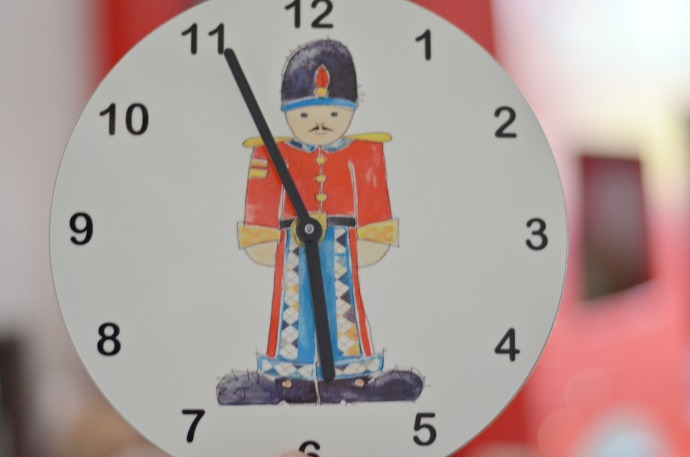 I still haven't started with the kids bedroom. I just finished the master bedroom. This looks fantastic! 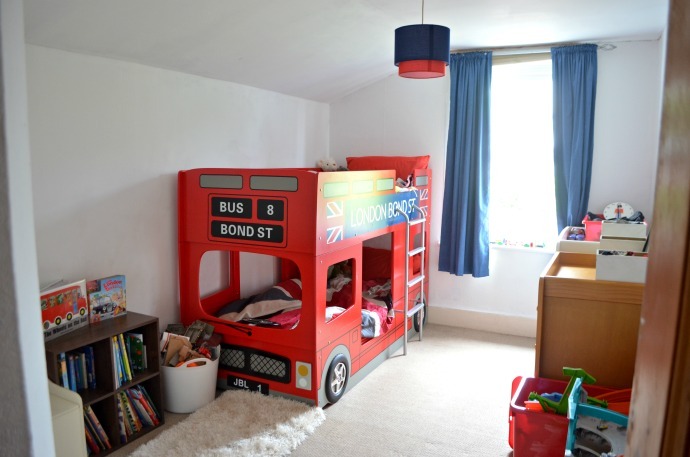 Caspian would love that red bus bed so might look at getting one when we do his room. Looks gorgeous. Are the sheets on the bed really awkward to change though?